Traveling with young children on safari?. Here are tips for traveling in Africa and where you can take your little ones for their first Africa safari. Isn’t adventure the essence of childhood? The delightful rediscovery of an unknown world, feeling like the world’s first naturalists navigating uncharted terrain in a dugout canoe, making sense of maps and setting foot on virgin islands. 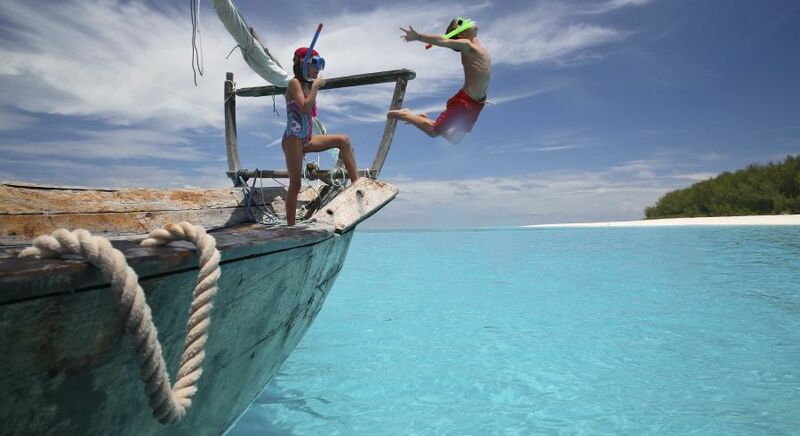 Make the most of your family safari holidays in Africa by sharing the adventure with your young ones. Irrevocably bound together by your shared safari tour, it’s an experience your family will never forget. 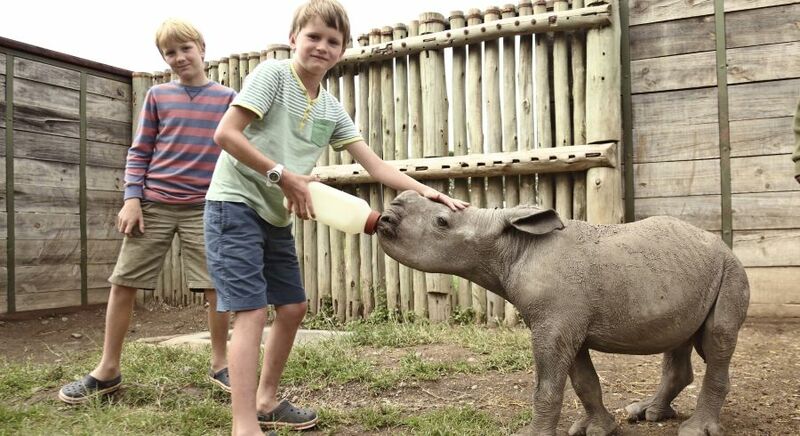 A safari in Africa can be an incredible adventure for your young ones. Given how special your children are to you, it’s only natural that when you travel with them, you want their experience to be as seamless and joyful as possible.A little bit of advance preparation can go a long way in ensuring that your African adventure is memorable, smooth and rewarding. A new program offered at several of our partner lodges and camps in East and Southern Africa devises innovative programs introducing young travelers on safari to the land and local ways of life through a conservation-focused approach and specialized trips! In the past, traveling with young family has often meant tailoring the trip to accommodate bored or fidgety youngsters, or changing a dream itinerary to suit children. Imagine if a warm and well-trained ranger could introduce your child to the amazing world of the safari through planned activities. Armed with a scrapbook, your child could be guided by the ranger to discover the bush and local ways of life. Maybe she would be taught how to shoot with a bow and arrow, or learn how to build a fire scraping together stones, the traditional Masai way! Our luxury accommodation partner andBeyond recently launched WILDchild, which runs out of their lodges in East Africa and Southern Africa, targeted at sensitive families who want to make the most of the adventurous tours that they embark upon. The program engages children through the safari, and build relationships between children and the land and environment in which they are traveling. Some of the lodges offer special suites to accommodate entire families. Our youngest guests can enjoy the WILDchild program at Phinda Mountain Lodge overlooking the Ubombo Mountains, Kichwa Tembo in the Masai Mara, Mnemba Island Lodge in Tanzania and Xaranna in Botswana. These experiential vacations are wonderful ways to pace your travel so that your children can develop the kind of strong love and understanding of the African bush as the rangers who introduce them to it! 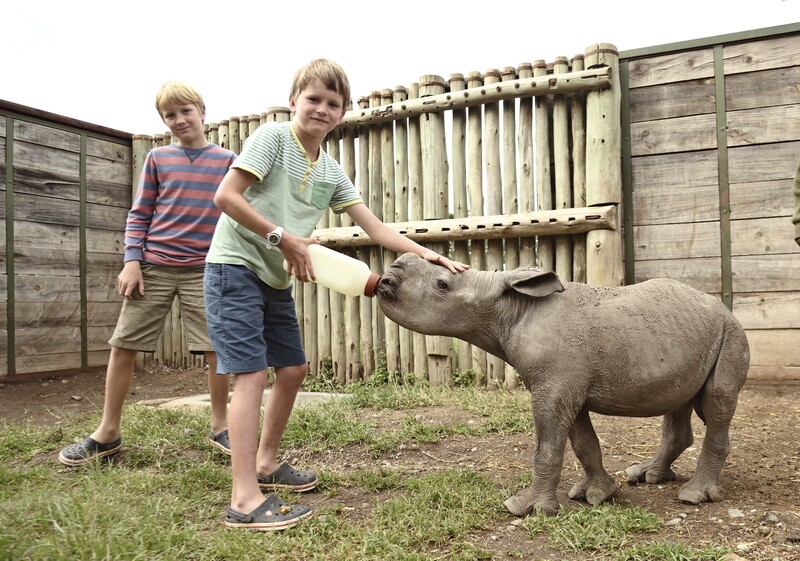 There are plenty of things to do for children on safari. The activities are age-specific and vary depending on local cultures around the camp you’re staying at. For example, depending where you are, your child might learn how to track animals or be taught a thing or two about local fishing practices! These vacations are designed to bring families closer together and allow for a leisurely and relaxed experience that takes on your own pace and wishes! Not only do children (and their parents) learn about the land and imbibe a strong conservation message, they are also sensitized to local ways of life, inculcating respect and understanding of life approaches that might be very different from their own. 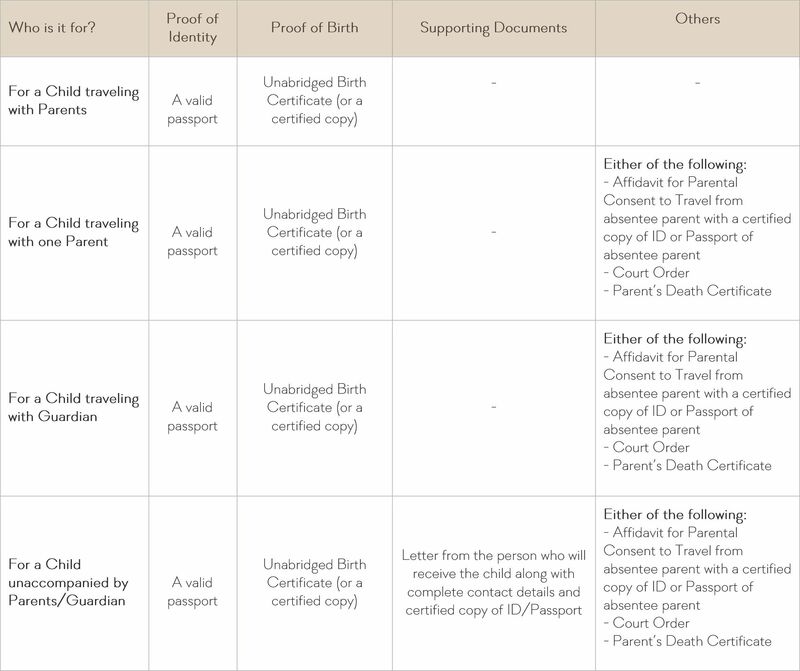 In cases where an Unabridged Birth Certificate is unavailable, please ensure that you carry an equivalent official letter or document issued by the Director-General of the Department of Home Affairs, which confirms the parentage of children under the age of 18 who are traveling with you. Parents whose details are recorded in your children’s Unabridged Birth Certificate or an equivalent document, will both be required to consent to your child’s travel. In cases where the details of only one parent are recorded in your child’s document, the concerned parent will need to provide proof of consent. While traveling with a child, if you don’t have an Affidavit of Parental Consent from a parent who is listed in your child’s documents, please carry a Court Order that gives you full parental rights and responsibilities or legal guardianship of the child. In cases where the parents are legally separated, please remember to carry an Affidavit of Consent from the absentee parent, or a Court Order in case this is not available. If the child traveling with you is adopted, please make sure you carry the Adoption Certificate as proof. If one of the parents of the child traveling with you is deceased, you will need to produce a Certificate of Death. Ensure that your supporting documents, including copies of Unabridged Birth Certificates, are certified by a recognized authority. Original documents are always preferable to certified copies of Unabridged Birth Certificates. You must also keep in mind that all certified copies are valid only for three months from the date of issue. Africa is ideal for family safari holidays with children – even the experts from Travel+ Leisure are convinced! Of course, planning the best safari for families is no easy task – there are interests to be considered, diets to be planned, and the most diverse desires be reconciled! There is no minimum age for taking your children on safari. Rather, it depends on the personality and temperament of your child, such as the willingness to stay calm during the longer drives or wildlife viewing, or their stamina and interest for hiking in the wilderness. 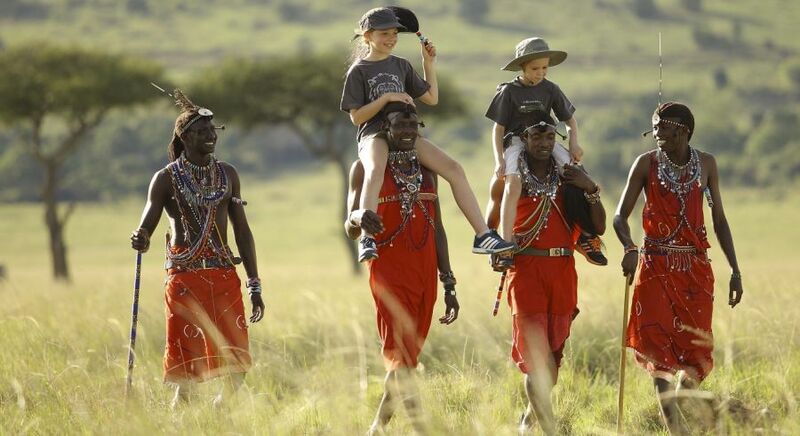 There have been travelers as little as six, the average age for young safari-goes is between nine and twelve. Planning for extended stays and avoiding longer drives is recommended. 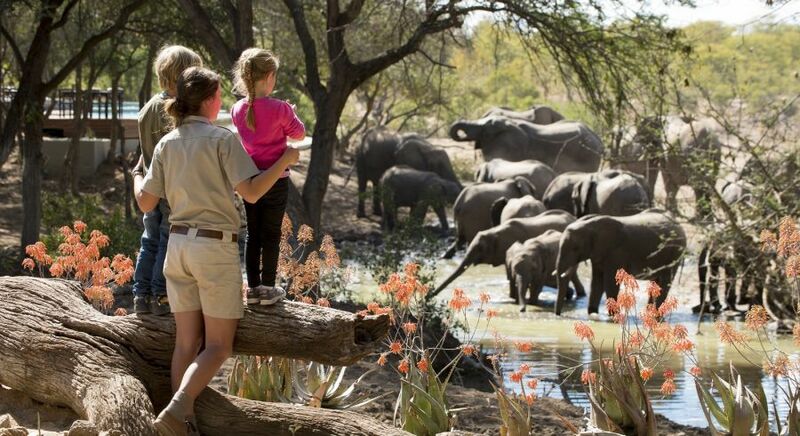 We can recommend safari lodges that are ideal for you, offering diverse activities and excursions, and plenty of trained staff to keep your children happily occupied. 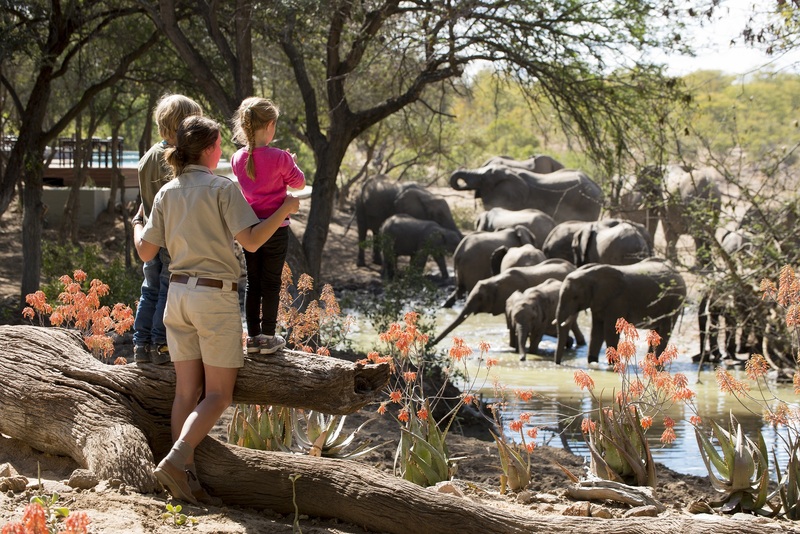 If you’re looking to take children on safari, let us help you bring your family closer together amid the vast diversity of Eastern and Southern Africa wildlife and cultures. Get in touch with us for your Africa trip!